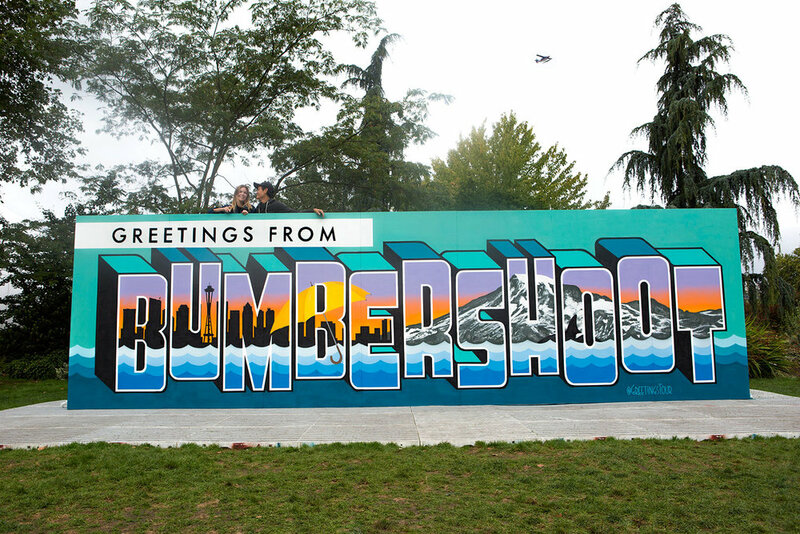 Bumbershoot is Seattle's festival bringing people together from all over the world to enjoy live music, comedy, dance, film, and other visual arts. The year 2016 was its 46th year in celebration held around Seattle Center. 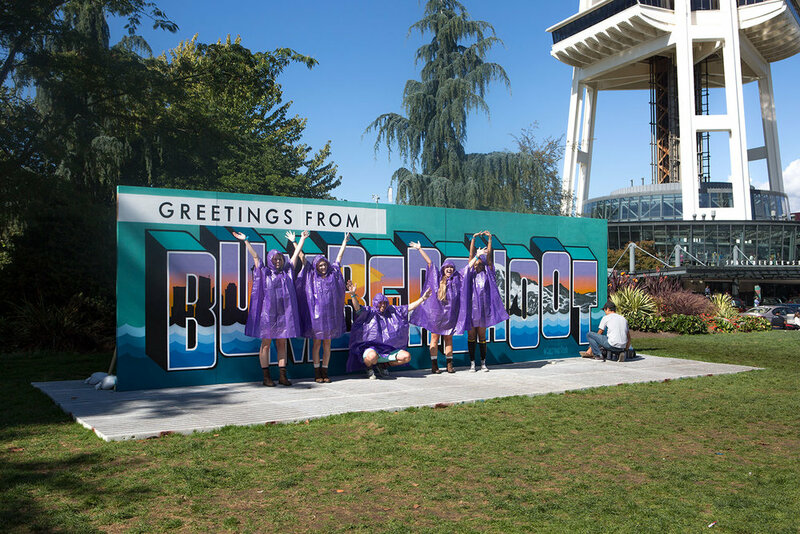 We painted Greetings from Bumbershoot just outside the front entrance, welcoming the guests at the base of the Space Needle. Sam Warren, the Creative Director of the festival, reached out to us after seeing Greetings from Seattle, just a few blocks over in Belltown. For this particular mural, we live painted on stage flats during the event. Fun fact: Bumbershoot means umbrella!